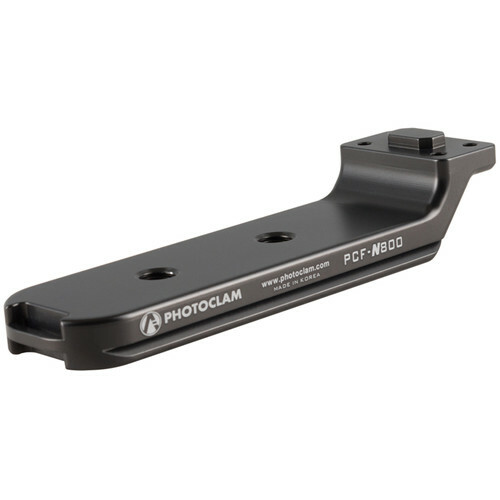 The low-profile PCF-N800 Lens Foot for Select Nikon Lenses from Photo Clam is designed to replace the original foot of this lens and provide a mountable dovetail that is compatible with Arca-type heads and clamps. If you have no quick release assembly available you can securely mount the lens onto a tripod or monopod with the two 3/8"-16 mounting sockets. A machined strap loop is located at the front of the foot, so you can attach a shoulder strap to carry an otherwise heavy telephoto lens.